The Punjab Deputy Chief Minister, Sukhbir Singh Badal today reiterated the commitment of the State Government to provide every kind of facility to the trading class in the state so that they don’t have to face any problem besides ensuring that the state continues to occupy top position as most preferred investment destination.In a function here to mark the initiation of distributing health insurance cards to the traders under Bhagat Puran Singh Sehat Bima Yojna, the Deputy Chief Minister said that top priority would be accorded to make Fazilka a model district with every modern amenity. Disclosing about the scheme, he said that 2.33 lakh traders and their families would be eligible for cashless treatment at 403 designated hospitals (211 private & 192 government) up to Rs. 50000 free of cost plus an insurance cover of Rs. 5 lakh would be given in case of accidental death of head of the family or disability. He further said that in case of fire incident taking place, Rs. 5 lakh insurance cover would be applicable. A total of 11 lakh farmers, 28.90 lakh blue card holders and 2.32 construction workers are availing the benefit under Bhagat Puran Singh Sehat Bima Yojna. Touching the development agenda, the Deputy Chief Minister said that the SAD-BJP government has fulfilled its promise of making Punjab a power surplus state. Elaborating about other achievements of the government, he said that the state government is paying special attention to further strengthen the canal network so that the farming community gets irrigation facilities in ample measure. He also informed that the state government is executing the work of laying the network of 4-6 laned roads in Punjab on war footing besides leaving no stone unturned to make sure that the sewa kendars throughout the state are operational by JULY, 2016.The Deputy Chief Minister also announced that Rs. 8 crore would be spent on the all round development of Jalalabad apart from approving Rs. 100 crore to give Abohar a beautified look. He also assured that the Government hospital of Jalalabad would be soon be completed to give quality healthcare services to the people. Divulging more, he said that a railway overbridge would be soon be constructed to solve the problem of traffic snarls at Sri Muktsar Sahib road in the city. He also informed that various welfare measures are being taken by the state government for e.g.--- annual power subsidy of Rs. 5600 crore to farmers with Rs. 32000 crore worth free power given till now, interest free loan of Rs. 50000 to small farmers, opening of tubewell connections to farmers having less than 2.5 acre, releasing more than 1.65 lakh tubewell connections this year, pension scheme for farmers, establishing skill training centers to give professional training to 1 lakh youth in present year, Rs. 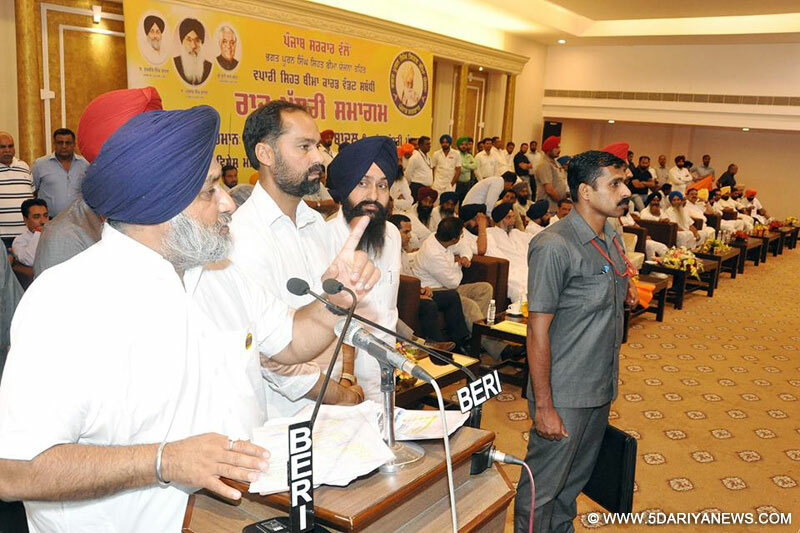 10000 crore for developing infrastructure in rural & urban areas.He said that the development of the state has taken place only during the SAD-BJP government during previous 9 years which has been instrumental in helping Punjab becoming a frontline state in the country.On the occasion, Lok Sabha Member S. Sher Singh Ghubaya also addressed the people and District President of SAD (Urban) Mr. Ashok Aneja thanked the Deputy Chief Minister.Among those present on the occasion were Chief Parliamentary Secretary Mr. Sarup Chand Singla, Halqa Incharge Jalalabad S. Satinderjit Singh Manta, Excise and Taxation Commissioner Punjab Mr. Rajat Aggarwal, Additional Secretary Mr. D.P. Reddy, Deputy Commissioner Mrs. Isha Kalia, District Police Chief Mr. Narinder Bhargav and Chairman District Planning Board Mr. Prem valecha.